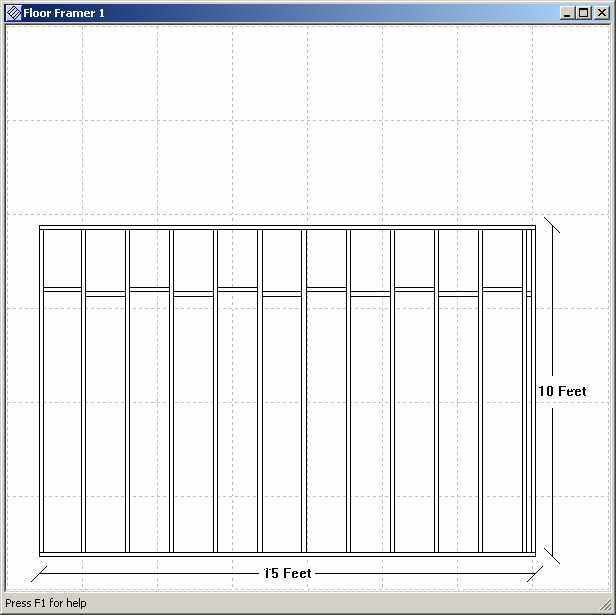 The Floor Framing tool handles the layout of rectangular floor sections. All you have to do is enter the width of the floor (i.e. 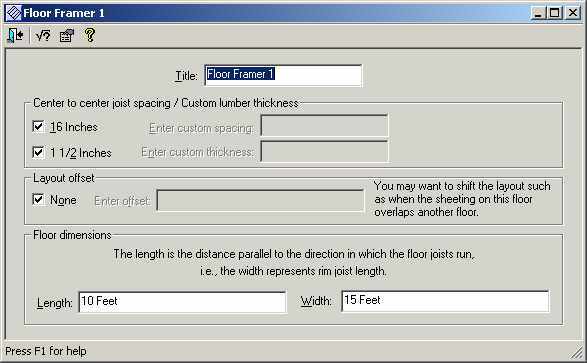 the length of the rim joists), and the length of the floor. 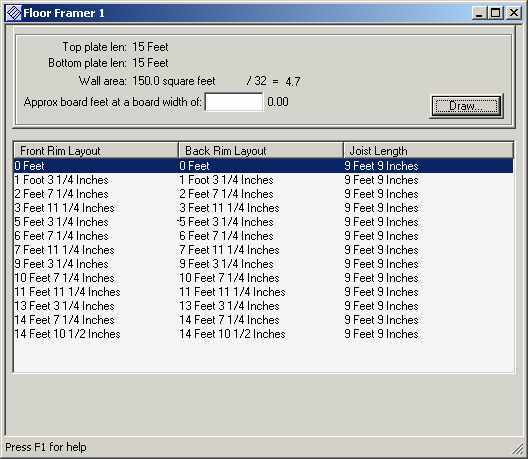 Having done this the tool will create an output window that you can scroll through or print with the total layout.